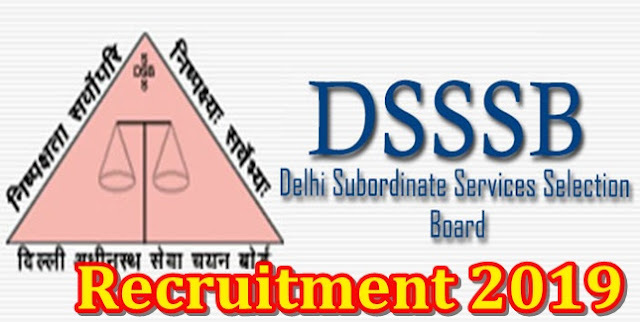 Delhi Subordinate Service Selection Board (DSSSB Recruitment 2019 Notification) 204 Lower Division Clerk, Welfare Officer and various posts are invited for application. If you are interested in this DSSSB recruitment 2019, you can apply for the last date of application before 05 March 2019. The information related to the DSSSB Recruitment Notification 2019 is as follows. Master's Degree in Social Work or Master of Art (Sociology) or Post Graduate Degree in Criminology from a recognized university / institute. Selection will be based on one level and two level examination plan and skill test. Interested candidates can apply online through DSSSB's website www.dsssb.delhigovt.nic.in or https://dsssbonline.nic.in. Before you apply these jobs, please read the notification and advertisement attached to this vacancy.